Ernesto (“Che”) Guevara was executed by Bolivian troops near the town of La Higuera on 9 October 1967, following an ambush. The operation was planned by the CIA and organized by US Special Forces. On the 40th anniversary of his death it is appropriate that we make a balance sheet of this outstanding revolutionary and martyr. Alan Woods in a two-part article looks at the evolution of Che Guevara from his early days to the day he was killed. In November 2005, the German magazine Der Spiegel wrote about Europe’s «peaceful revolutionaries» whom it describes as the heirs of Gandhi and Guevara [!]. This is a complete travesty. We should form a «Society for the Protection of Che Guevara» against the people who have nothing to with Marxism, the class struggle or socialist revolution, and who wish to paint an entirely false picture of Che as a kind of revolutionary saint, a romantic petty bourgeois, an anarchist, a Gandhian pacifist or some other nonsense of the sort. «We shall reply to this by quoting two lines from a Russian fable, ‘Eagles may at times fly lower than hens but hens can never rise to the height of eagles’. [Rosa ] in spite of her mistakes […] was and remains for us an eagle. And not only will Communists all over the world cherish her memory, but her biography and her complete works will serve as useful manuals for training many generations of communists all over the world. ‘Since August 4, 1914, German social-democracy has become a stinking corpse’ ‑ this statement will make Rosa Luxemburg’s name famous in the history of the international working class movement. And, of course, in the backyard of the working class movement, among the dung heaps, hens like Paul Levi, Scheidemann, Kautsky and all their fraternity will cackle over the mistakes committed by the great Communist». (Lenin Collected Works, Vol. 33, p. 210, Notes of a Publicist, Vol. 33). Ernesto Guevara de la Serna (14th June 1928 – 9th October, 1967), generally known as Che Guevara was a Marxist revolutionary – Argentinean by birth but an internationalist to the marrow of his bones. His ancestry, like that of most people in Latin America, was very mixed. Guevara is a Castilianized form of the Basque Gebara, signifying «from the Basque province of Araba (Alava)». One of his family names, Lynch, was Irish (the Lynch family was one of the 14 Tribes of Galway). The mixture of Basque and Irish blood is somewhat explosive! Born into a middle class family, he did not suffer poverty and hunger like so many other children in Latin America. But he suffered from ill health. His naturally adventurous and rebellious spirit was connected with the fact that from an early age he had a serious asthmatic condition. He spent all his life trying to overcome this problem by deliberately driving himself to the limit. His steely determination to overcome all difficulties may also be traced back to this. Like most young people, Ernesto loved to travel. He was seized by what the Germans call «Wanderlust». He wrote: «I now know by an unbelievable coincidence of fate that I am destined to travel.» Just how far he was to travel, and in what direction he would go, was as yet a sealed book to him. No doubt he would have made a conscientious physician, but the Wanderlust got the better of him. He took to the road, and did not to return to Argentina for many years. His adventurous nature induced him to set out on a long journey travelling rough throughout South America on a motorbike. «Although we’re too insignificant to be spokesmen for such a noble cause, we believe, and this journey has only served to confirm this belief, that the division of America into unstable and illusory nations is a complete fiction. We are one single mestizo race with remarkable ethnographical similarities, from Mexico down to the Magellan Straits. And so, in an attempt to break free from all narrow-minded provincialism, I propose a toast to Peru and to a United America.»(Motorcycle Diaries, p.135). This journey was the beginning of a long odyssey that slowly opened his eyes to the reality of the world in which he lived. For the first time in his life he was brought into direct contact with the impoverished and oppressed masses of the continent. He witnessed at first hand the appalling conditions in which the majority of people lived. That such dreadful poverty should exist amidst all the natural wealth and beauty of this wonderful continent made a deep impression on his young mind. These contradictions moved his passionate and sensitive nature and caused him to mediate on their causes. Che always had an eager and inquiring mind. That same intellectual fervour that he showed in his study of medicine was now turned to the study of society. The experiences and observations he had during these trips left a lasting mark on his consciousness. Suddenly all his earlier ambitions for personal advancement seemed petty and uninteresting. After all, a doctor can cure individual patients. But who can cure the terrible disease of poverty, illiteracy, homelessness and oppression? One cannot cure cancer with an aspirin, and one cannot cure the underlying ills of society with palliatives and half-measures. Slowly in the mind of this young man a revolutionary idea was maturing and developing. He did not immediately become a Marxist. Who does? He thought long and hard, and read widely: a habit that never left him to the end of his life. He began to study Marxism. Gradually, imperceptibly, but with a steely inevitability, he became convinced that the problems of the masses could only be remedied by revolutionary means. His conversion to conscious Marxism received a decisive impetus when he went to Guatemala to learn about the reforms being implemented there by President Jacobo Arbenz Guzmán. In December 1953 Che arrived in Guatemala where Guzmán headed a reformist government, which was attempting to carry out a land reform and demolish the latifundia system. Even before arriving in Guatemala Guevara was a committed revolutionary, although his views were still in a formative stage. This is shown by a letter written in Costa Rica on 10 December 1953, in which he says: «En Guatemala me perfeccionaré y lograré lo que me falta para ser un revolucionario auténtico.» («In Guatemala I will perfect myself and gain everything I still lack to be a real revolutionary»: Guevara Lynch, Ernesto. Aquí va un soldado de América. Barcelona: Plaza y Janés Editores, S.A., 2000, p. 26.). But the United Fruit Company and the CIA had other ideas. They organized a coup attempt led by Carlos Castillo Armas, with US air support. Guevara immediately joined an armed militia organized by the Communist Youth; but was frustrated with the group’s inaction. After the coup, the arrests began and Che had to seek refuge in the Argentine consulate where he remained until he received a safe-conduct pass. He then decided to make his way to Mexico. His experience of the US-sponsored coup against Arbenz confirmed him in his views and led him to draw certain conclusions. It concentrated Che Guevara’s mind on the role of the United States in Latin America. Here was an imperialist power that was a bulwark of all the reactionary forces throughout the continent. Any government that tried to change society would inevitably face the implacable opposition of a powerful and ruthless enemy. After the victory of the CIA-inspired coup, Che was forced to flee to Mexico where, in 1956, he joined Fidel Castro’s revolutionary 26th of July Movement, which was engaged in a ferocious struggle against the dictatorship of General Fulgencio Batista in Cuba. The two men seemed to strike up an immediate rapport. Castro needed reliable men and Che needed an organization and a cause for which to fight. Che had seen with his own eyes the fatal weakness of reformism and this confirmed in him the belief that socialism could only be achieved through armed struggle. He arrived in Mexico City in early September 1954, and entered into contact with Cuban exiles whom he had met in Guatemala. In June 1955 he met first Raúl Castro, and then his brother Fidel, who had been amnestied from prison in Cuba, where he had been confined after the failure of the assault on the Moncada Barracks. Che immediately joined the 26th of July Movement that was planning to overthrow the dictatorship of Fulgencio Batista. At first Che was supposed to play a medical role. His poor health (he suffered from asthma all his life) did not suggest a warrior’s constitution. Nevertheless, he participated in military training side by side with the other members of the Movement, and proved his worth. On November 25th, 1956, the cabin cruiser Granma set out from Tuxpan, Veracruz heading for Cuba, loaded with revolutionaries. It was an old ship and it was carrying many more people than it was designed for. It nearly sank in the heavy weather that reduced many of the passengers to severe seasickness. This was only the beginning of their problems. The expedition was almost destroyed right at the outset. They landed in the wrong place and were caught in the swamps. They were attacked by government troops soon after landing, and about half of the rebels were killed or executed after being captured. Only 15-20 survived. This battered and depleted force somehow managed to re-group and escape into the Sierra Maestra Mountains from where they waged a guerrilla war against the Batista dictatorship. The main strength of the rebellion lay in the chronic weakness of the old regime, which was internally rotted with corruption and decay. Despite the support, money and arms of US imperialism, Batista was unable to check the advance of the revolution. His soldiers were unwilling to risk their lives to defend a diseased regime. Weakened and demoralized by a series of ambushes in the heights of the Sierra Maestra, at Guisa and Cauto Plains, the army was already thoroughly demoralized when the final offensive was launched. The final orders to the rebel army were issued from Palma on January 1, 1959. But the final blow that finished off the dictatorship was the general strike of the workers of Havana. The whole edifice was collapsing like a house of cards. Batista’s generals were attempting to negotiate a separate peace with the rebels. When he learned of this, the dictator realized that the game was up and fled to the Dominican Republic on New Year’s Day, 1959. The old bourgeois state had been smashed and a new power was formed, or rather improvised, on the basis of the guerrilla army. Power now passed into the hands of the guerrilla army. Marxists all over the world rejoiced at the victory of the Cuban Revolution. This was a heavy blow stuck at imperialism, capitalism and landlordism on the doorstep of the most powerful imperialist state in history. It gave hope to the oppressed masses everywhere. Yet the way in which it took place was different to the Russian Revolution of October 1917. There were no soviets and the working class, although it had ensured the final victory of the Revolution through a general strike, did not play a leading role. There are some who argue that this is irrelevant, that every revolution is different, that there cannot be a model that is applicable to all cases, and so on. To some extent this is true. Every revolution has its own concrete features and characteristics that correspond to the different concrete conditions, class balance of forces, history and traditions of different countries. But this observation by no means exhausts the question. «The Commune was formed of the municipal councillors, chosen by universal suffrage in the various wards of the town, responsible and revocable at short terms. The majority of its members was naturally working men, or acknowledged representatives of the working class. The Commune was to be a working, not a parliamentary body, executive and legislative at the same time. «Instead of continuing to be the agent of the Central Government, the police was at once stripped of its political attributes, and turned into the responsible, and at all times revocable, agent of the Commune. So were the officials of all other branches of the administration. From the members of the Commune downwards, the public service had to be done at workman’s wage. The vested interests and the representation allowances of the high dignitaries of state disappeared along with the high dignitaries themselves. Public functions ceased to be the private property of the tools of the Central Government. Not only municipal administration, but the whole initiative hitherto exercised by the state was laid into the hands of the Commune. This bears absolutely no relation to the bureaucratic totalitarian regime of Stalinist Russia where the state was a monstrous repressive power standing above society. Even the word «dictatorship» in Marx’s day had an entirely different connotation to that which we attach to it today. After the experience of Stalin, Hitler, Mussolini, Franco and Pinochet the word dictatorship signifies concentration camps, the Gestapo and the KGB. But Marx actually had in mind the dictatorship of the Roman Republic, whereby in a state of emergency (usually war) the usual mechanisms of democracy were temporarily suspended and a dictator ruled for a temporary period with exceptional powers. Far from a totalitarian monster, the Paris Commune was a very democratic form of popular government. It was a state so constructed that it was intended to disappear – a semi-state, to use Engels’ expression. Lenin and the Bolsheviks modelled the Soviet state on the same lines after the October Revolution. The workers took power through the soviets, which were the most democratic organs of popular representation ever invented. Despite the conditions of terrible backwardness in Russia the working class enjoyed democratic rights. The 1919 Party programme specified that, «all the working masses without exception must be induced to take part in the work of state administration». Direction of the planned economy was to be mainly in the hands of the trade unions. This document was immediately translated into all the main languages of the world and widely distributed. However, by the time of the Purges in 1936 it was already regarded as a dangerous document and all copies of it were quietly removed from all libraries and bookshops in the USSR. i) Free and democratic elections with right of recall of all officials. ii) No official to receive a higher wage than a skilled worker. iii) No standing army but the armed people. iv) Gradually, all the tasks of running society to be done by everybody in turn (when everybody is a bureaucrat nobody is a bureaucrat). These conditions were not a caprice or an arbitrary idea of Lenin. In a nationalized planned economy it is absolutely necessary to ensure the maximum of participation of the masses in the running of industry, society and the state. Without that, there will inevitably be a tendency towards bureaucratism, corruption and mismanagement, which can ultimately undermine and destroy the planned economy from within. That is just what happened to the USSR. The points raised by Lenin have an important bearing on the events in Cuba and on Che’s own evolution. Che occupied various posts in the revolutionary administration. He worked at the National Institute of Agrarian Reform, and was President of the National Bank of Cuba, when he signed banknotes with his nickname, «Che». All this time, Guevara refused his official salaries of office, drawing only his lowly wage as an army comandante. This little detail tells us a lot about the man. He maintained that he did this in order to set a «revolutionary example». In fact, he was following to the letter the principle laid down by Lenin in State and Revolution that no official in the Soviet state should receive a salary higher than a skilled worker. This was an anti-bureaucratic measure. Lenin, like Marx, was well aware of the danger of the state raising itself above society and that this danger also existed in a workers’ state. Taking as his point of departure Marx and Engels’ analysis of the Paris Commune, Lenin put forward four key points to fight bureaucracy in a workers’ state in 1917 to which we have already referred to above. «We shall reduce the role of state officials,» wrote Lenin, «to that of simply carrying out our instructions as responsible, revocable, modest paid ‘foremen and accountants’ (of course, with the aid of technicians of all sorts, types and degrees). This is our proletarian task, this is what we can and must start with in accomplishing the proletarian revolution.» (LCW, Vol. 25, p. 431.). During the first months of Soviet rule the salary of a People’s Commissar (including Lenin himself) was only twice the minimum subsistence wage for an ordinary citizen. Over the next years, prices and the value of the ruble often changed very rapidly and wages altered accordingly. At times the figures were quite astonishing – hundreds of thousands and millions of rubles. But even under these conditions Lenin made sure that the ratio between lowest and highest salaries in state organizations did not exceed the fixed limit – during his lifetime the differential apparently was never greater than 1:5. Of course, under conditions of backwardness, many exceptions had to be made which represented a retreat from the principles of the Paris Commune. In order to persuade the «bourgeois specialists» (spetsy) to work for the Soviet state, it was necessary to pay them very large salaries. Such measures were necessary until the working class could create its own intelligentsia. In addition, special «shock worker» rates were paid for certain categories of factory and office workers, and so on. However, such compromises did not apply to Communists. They were strictly forbidden to receive more than a skilled worker. Any income they received in excess of that figure had to be paid over to the Party. The chair of the Council of People’s Deputies received 500 rubles, comparable to the earnings of a skilled worker. When the office manager of the Council of People’s Deputies, V. D. Bonch-Bruevich paid Lenin too much in May 1918, he was given «a severe reprimand» by Lenin, who described the rise as «illegal». Due to the isolation of the revolution, and the need to employ bourgeois specialists and technicians the differential was increased for these workers – they could earn a wage 50 per cent more than that received by the members of the government. Lenin was to denounce this as a «bourgeois concession», which should be reduced as rapidly as possible. Not only in theory but in practice, Che adhered to similar revolutionary principles. Che Guevara was an instinctive revolutionary. He was personally incorruptible and detested bureaucracy, careerism and privileges. His was the stern and puritan morality of the revolutionary fighter. Therefore, he was repelled by the manifestations of bureaucracy and flunkeyism that he observed after the victory of the Revolution. Che often expressed opinions in opposition of the official positions of the Communist Party of the Soviet Union under Nikita Khrushchev. He was opposed to the «theory» of peaceful coexistence. He did not like the slavish attitude of some Cubans towards Moscow and its ideology. Above all, bureaucracy, careerism and privilege repelled him. His visits to Russia and Eastern Europe shocked him and deepened his sense of disillusionment with Stalinism. The bureaucracy, privileges and suffocating conformism repelled him to the depths of his soul. He became increasingly critical of the Soviet Union and its leaders. That is why he initially inclined to China in the Sino-Soviet dispute. But to portray Che as a Maoist is to do him an injustice. There is no reason to believe that he would have felt any more at home in Mao’s China than in Khrushchev’s Russia. The reason he appeared to lean to China was that the Chinese criticized Moscow’s decision to remove the Soviet missiles from Cuba, an act that Che looked on as a betrayal. It is impossible to arrive at a neat classification of Che Guevara. He was a complex character with a fertile brain that was always seeking after truth. The dogmas of Stalinism were the absolute antithesis of his way of thinking. He was repelled by bureaucratic servility and conformism and detested privilege of any sort. This made him an object of suspicion to visiting «Communist» dignitaries from Europe and the Soviet Bloc. The Stalinist leaders of the French Communist Party were particularly hostile to him and even launched a campaign of calumnies against Che, describing him as a «petty bourgeois adventurer». The car came to a halt and a sweating official with a suit and tie stepped out and began to walk towards Che. Before he could open his mouth, Che shouted at him: «What are you doing here? Get out! We don’t want any bureaucrats here!» The shamefaced functionary turned back and headed for the car and Che turned to Leon: «You see!» he said with a triumphant grin. When the Cuban Trotskyists were arrested Che personally intervened to secure their release. (He later said that this had been a mistake.) He also proposed a study of the writings of Leon Trotsky, who he regarded as one of the unorthodox Marxists. This attitude is very different to the position of the followers of Mao Tse Tung who described Trotsky as a counterrevolutionary and enemy of socialism. He proposes an extensive plan of political education including the study of the collected works of Marx, Engels, Lenin and Stalin «and other great Marxists. Nobody has read anything of Rosa Luxemburg, for example, who made mistakes in her criticism of Marx, but who died, assassinated, and the instinct of imperialism is superior to ours in cases like this. Also missing are Marxists who later went off the rails, like Kautsky and Hilfering (it is not written like that) [Che was thinking of the Austrian Marxist Rudolf Hilferding] who made some contributions, and many contemporary Marxists, who are not totally scholastic». He adds playfully: «and your friend Trotsky, who existed and wrote, so it seems, should be included.» His interest in Trotsky’s ideas increased in the same degree that he became disillusioned with the bureaucratic regimes of Russia and Eastern Europe. Che Guevara was an avid reader and he took many books with him on his last campaign in Bolivia. Among these, significantly, were books by Trotsky – the Permanent Revolution and the History of the Russian Revolution. Given the extremely difficult conditions of guerrilla war in the mountains and jungles, a fighter will only take what he regards as absolutely necessary. This tells us a lot of how Che was thinking at this time. We have no doubt that had he lived he would have moved towards Trotskyism and in fact he was already doing so before his life was cut short. Che Guevara was a dedicated revolutionary and Communist. He was also an internationalist and understood that to defend the Cuban revolution it was necessary to spread it to other parts of the world. He attempted this in Africa and Latin America. This was his strong side. His weak side was that he saw the revolution fundamentally as a peasant guerilla struggle and did not fully understand the central role of the working class in the socialist revolution. The fortieth anniversary of the assassination of Che Guevara has been the signal for a noisy campaign against him. The attacks against Che do not all come from the right. There are constant attacks from anarchists, libertarians, and all kinds of «democrats». Particularly distasteful are the criticisms of Che by Regis Debray, that miserable renegade and coward, who played such a pernicious role in Che’s last campaign in Bolivia and later became a reformist and an adviser to Mitterand. Other «intellectuals» like Jon Lee Anderson, who wrote a well-known book about Che, Jorge Castaneda and Octavio Paz have joined this chorus of scoundrels and renegades vying with each other to «demystify» Che – that is, to pour dirt on his memory. This disgraceful campaign of calumnies has been backed by many in the Latin American «left», which is just another indication of the degeneration of the «democratic» intelligentsia in the period of the senile decay of capitalism. Writer Paul Berman informs us that the «modern-day cult of Che» obscures the work of dissidents and what he believes is a «tremendous social struggle» currently taking place in Cuba. There is indeed a tremendous social struggle taking place in Cuba. It is a struggle between revolution and counterrevolution: a struggle between those who wish to defend the gains of the Cuban Revolution and those who, under the false flag of «democracy» wish to drag Cuba towards capitalist slavery, as has already happened in Russia. In this struggle it is not possible to be neutral, and these «democratic intellectuals» have openly taken the side of the capitalist counterrevolution. The main accusation against Che is that he was responsible for unnecessarily brutal repression. What are the facts? After the overthrow, Che Guevara was assigned the role of «supreme prosecutor», overseeing the trials and executions of hundreds of suspected war criminals from the previous regime. As commander of the La Cabana prison, he oversaw the trial and execution of former Batista regime officials and members of the «Bureau for the Repression of Communist Activities» (a unit of the secret police known by its Spanish acronym BRAC). This has provided the excuse for a stream of vicious attacks against him by the enemies of the Revolution. We have seen a stream of articles with titles referring to Che as a «butcher» and so on. Solon the Great, who wrote the Athenian Constitution and knew one or two things about laws, said the following: «the law is like a spider’s web: the small are caught and the great tear it up.» The law has never been higher than the class interests that lie behind it. The bourgeoisie hides behind the so-called impartiality of the law to disguise the dictatorship of the big banks and monopolies. When it no longer suits the ruling class, it sets aside these laws and exercises its dictatorship openly. The same middle class Pharisees who whimper about these executions are those who support «peace and reconciliation» in places like Chile, Argentina and South Africa. They are the authors of the obscene farce of «truth commissions» where the murderers and torturers meet face to face with their victims, with widows and orphans, with people who suffered unspeakable tortures or years of imprisonment for their views. And at the end of this, they are supposed to be reconciled and «at peace». Yes, and how many others are «at peace» in unmarked graves or at the bottom of the River Plate with their hands chopped off? This so-called peace and reconciliation is nothing but a cruel deception and the so-called truth commissions a cowardly evasion of the truth: that there can never be peace and reconciliation between the murderers and torturers and their victims, who cry for justice even from the grave. It is absolutely intolerable that today known murderers and torturers walk the streets of Santiago, Buenos Aires and Johannesburg, and their victims are forced to live with this knowledge. In Spain the reformists and Stalinists subscribed to the shameful fraud that they called the «Transition». The fascist butchers who were responsible for the deaths of over a million people were allowed to go unpunished as a result. This was taken by the reformists in Chile and elsewhere to be a good example to follow. This was a complete confirmation of Trotsky’s theory of Permanent Revolution – a theory that Che was so interested in that he took a copy of this book with him on his final Bolivian expedition. Trotsky explains that in modern conditions the tasks of the bourgeois democratic revolution in colonial and ex-colonial countries cannot be carried out by the bourgeoisie but can only be realized by expropriating the landlords and capitalists and beginning the socialist transformation of society. The imperialist «democrats» replied by organizing an invasion of Cuba. Cuban mercenaries were armed and trained by the CIA and set out to effect the violent overthrow of the revolutionary government. The Revolution defended itself, mobilizing and arming the workers and peasants. The imperialist forces were routed at the Bay of Pigs – the first time that imperialism had suffered a military defeat in Latin America. The Revolution was triumphant. This was a very explicit condemnation of the policy of peaceful co-existence pursued by Moscow. He considered that the withdrawal of Soviet missiles from Cuban territory without consulting Castro to be a betrayal. He enthusiastically supported the Vietnamese people in their war of liberation against US imperialism. He called upon the oppressed peoples of other countries to take up arms and create «100 Vietnams». Such talk horrified Khrushchev and the Moscow bureaucracy. Che wrote a letter in which he reaffirmed his solidarity with the Cuban Revolution but declared his intention to leave Cuba to fight abroad for the cause of the revolution. He stated that «Other nations of the world summon my modest efforts,» and that he had therefore decided to go and fight as a guerrilla «on new battlefields». In order not to embarrass the Cuban government and provide excuses to the imperialists to attack Cuba, he announced his resignation from all his positions in the government, in the Party, and in the Armed forces, and renounced his Cuban citizenship, which had been granted to him in 1959 in recognition of his efforts on behalf of the revolution. At that time Africa was in a state of ferment. The French colonialists had been driven out of Algeria and the Belgian imperialists had been forced to leave the Congo. But the imperialists were waging a stubborn rearguard action in alliance with the Apartheid regime in South Africa and reactionary elements in different countries. At stake was Africa’s vast mineral wealth. It was also the chief battleground between the Soviet Union and the United States. Napoleon pointed out long ago that in warfare morale is always the decisive factor. However, Che was swiftly disillusioned by his Congolese allies. He had little regard for the ability of Kabila. «Nothing leads me to believe he is the man of the hour,» he wrote. The Cuban and Russian revolutionaries were fighting for a cause they believed in. But in the Congo, the anti-imperialist struggle was mixed up with tribal divisions, personal ambition and corruption. That was shown by subsequent events. In May 1997, Laurent Kabila overthrew Mobuto and became President of the Democratic Republic of the Congo. In that position, which he held until his assassination in 2001, he behaved as a corrupt tyrant. He was succeeded in the presidency by his son, the equally corrupt Joseph Kabila. The CIA and South African mercenaries were working with Mobutu’s forces to defeat the rebels. They soon realized that they were fighting a far more serious enemy, although originally they did not know that Che was present. However, the superior intelligence available to the CIA alerted the South Africans to his presence. Che’s Congo Diary speaks of the incompetence, stupidity, and infighting of the local Congolese forces. This was the main reason for the revolt’s failure. Without Cuban help it would have been defeated much earlier. Che clearly made a mistake when he tried to organize a guerrilla war in Bolivia, a country with a powerful working class with great revolutionary traditions. He miscalculated in a number of areas. He expected to be confronted only by the poorly trained and equipped Bolivian army. But, as we have already pointed out, the imperialists had learned the lesson of Cuba and were prepared for him. Only eleven months after beginning the operation the guerrillas were routed and Che Guevara was dead. Only five men managed to escape from the trap that had been prepared for them by the Bolivian army and its US «advisers». To read today Che Guevara’s Bolivian Diaries is a moving and tragic experience. The physical and mental sufferings of this small band of men are indescribable. Their final destiny is heartbreaking. He established his base in the jungles of the remote Ñancahuazú region. But building a guerrilla army under such conditions proved extremely difficult, as his Bolivian diary shows. But to start a revolution in the jungles of Bolivia, was a hopeless venture from the start. The total guerrilla force numbered only about fifty. They experienced great difficulty recruiting from the local populace, who did not even speak Spanish. The guerrillas had learned Quechua, but the local language was Tupí-Guaraní. Despite everything, the guerrillas showed tremendous bravery and determination and scored a number of early successes against Bolivian regular soldiers in the Camiri mountains. However, in September, the Army managed to eliminate two guerrilla groups, killing one of the leaders. From this point on, they were fighting a battle that was lost in advance. Moreover, as the campaign dragged on, Che’s health deteriorated. He suffered from severe and debilitating bouts of asthma. The Bolivian authorities were finally alerted about Guevara’s presence when photographs taken by the rebels fell into their hands after a clash with the Bolivian army in March 1967. It is said that after seeing them, President René Barrientos exclaimed that he wanted Guevara’s head on a pike in the centre of la Paz. Here we have an authentic expression of the humanitarian pacifism of the bourgeoisie – the same people who criticize revolutionaries for violence. «There will always be a proliferation of excuses, whatever the time and circumstance, not to fight – and that would mean that we could never obtain freedom. Che did not outlive his ideas, but he knew that with the loss of his life they would spread even wider. His pseudo-revolutionary critics, with their political cowardice and eternal failure to act, will certainly outlive the evidence of their own stupidity. It is worth noting, as the diary shows us, that Mario Monje, one of those ‘revolutionary’ specimens who are becoming so frequent in Latin America, took advantage of his title of secretary of the Communist Party of Bolivia to dispute Che’s right to the political and military leadership of the movement. And Monje had also announced his intention of giving up his position within the party. According to him, it was enough to have held the position, and that gave him the right to claim the leadership. «Mario Monje, needless to say, had no experience in guerrilla warfare, nor had he ever been in combat. But the fact that he considered himself a Communist should have rid him of crude and superficial patriotism, as had the true patriots who had fought for Bolivia’s first independence. «If this is their idea of the internationalist and anti-imperialist struggle on this continent, such ‘Communist leaders’ have not progressed as far as the aboriginal tribes who were vanquished by the European colonisers at the time of the conquest. «As I expected, Monje’s attitude was evasive at first and then treacherous. «The party is now up in arms against us, and I do not know how far they will go. But this will not stop us and maybe in the long run it will be to our advantage (I am almost certain of this). The most hones and militant people will be with us, even if they have to go through a crisis of conscience that may be quite serious. «Moisés Guevara has so far responded well. We shall see how he and his people behave in the future. «Tania left, but the Argentines have given no signs of life, and neither has she. Now begins the real guerrilla phase and we will test the troops. Time will tell what they are capable of and what are the prospects for the Bolivian revolution. Those members of the Party who did join or support Che Guevara did so against the Party leadership’s wishes. Che’s Bolivian Diary shows how the problems with the Bolivian Communist Party resulted in the guerrillas having significantly smaller forces than originally anticipated. This dealt a mortal blow to the guerrilla’s chances of success. A lamentable role in all this was played by Regis Debray, a man who subsequently made a career out of exploiting his alleged relation with Che Guevara. 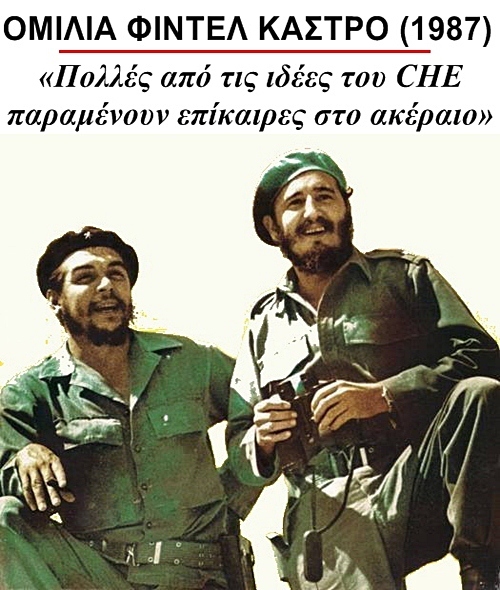 It is frequently stated that he «fought with Che in Bolivia» and was a «comrade of Che.» This is completely untrue. Debray never did any fighting and in fact caused serious problems for the guerrillas. Che regarded this petty bourgeois intellectual with well-deserved contempt. His Diary contains frequent references to this unwelcome «travelling companion» and none of them is flattering. Che’s suspicions were soon justified. Unable to tolerate the harsh conditions they pestered Che to allow them to leave. They were soon captured by the army and gave information that was invaluable in the pursuit of the rebels. Bustos betrayed the guerrillas and became a vulgar informant. He even drew portraits so that the army could recognize them. The trial of Regis Debray attracted the attention of the world’s media, but distracted attention from the guerrillas who were the ones really putting up a fight. This trial undoubtedly embarrassed the Bolivian government, but it also hardened their attitudes towards the guerrillas. It is possible that one of the reasons Barrientos decided to murder Guevara was to avoid a repetition of the media circus of this trial. From late September the enemy dogged their footsteps. Bolivian Special Forces were notified of the location of Guevara’s guerrilla encampment by an informant. They encircled it on 8 October and Che was captured after a brief skirmish. As the Bolivian forces approached him, he is supposed to have called out: «Do not shoot! I am Che Guevara and worth more to you alive than dead.» By this means they try to portray him as a coward. This is just another of the calumnies with which the reactionaries attempt to blacken the memory of this man, who always showed great bravery and complete disregard for his personal safety. Barrientos lost no time in ordering the execution of Che Guevara. He issued the order as soon as he was informed of the capture. He did not waste time in legal niceties. He did this with the full knowledge and consent of the «democrats» in Washington. None of these people could run the risk of a trial where Che Guevara could defend himself and, as he inevitably would, pass over to the counteroffensive, denouncing the social injustices that justified his fight. No! This voice had to be silenced once and for all. Early the next afternoon Che Guevara was taken out of the schoolhouse. At 1.10pm on 9 October 1967 he was executed by Mario Teran, a sergeant in the Bolivian army. In an attempt to conceal the fact that he had been shot in cold blood, he received multiple shots to the legs, so as to simulate combat wounds. Before this he said to his executioner: «I know you are here to kill me. Shoot, coward, you are only going to kill a man.» This is the voice of the real Che Guevara, not that of a coward pleading for his life. The dead body was lashed to the landing skids of a helicopter and flown to neighbouring Vallegrande where it was placed in a laundry tub in the local hospital and put on display for the gentlemen of the press who took photographs. In a macabre act of desecration a military doctor surgically amputated his hands, Bolivian army officers transferred Guevara’s cadaver to an undisclosed location. The man who headed the hunt for Guevara was Felix Rodriguez, a CIA agent, who had infiltrated Cuba to prepare for an anti-Castro uprising to coincide with the Bay of Pigs invasion. It was Rodriguez who informed his masters in Washington and Virginia of Che’s death. Like a common thief he removed Che’s Rolex watch and other personal items that he used to show to reporters while bragging of his exploits. Felix Rodriguez’s name will enter the annals of history branded with infamy. But the memory of the man he cruelly murdered will forever live as a champion of the poor and oppressed, a fighter, a revolutionary hero and a martyr for the cause of world socialism. As with any other person, Che had his strong side and his weak side. He undoubtedly made a mistake when he attempted to present the Cuban model of guerrilla war as a tactic with a general application. Marxists have always conceived the peasant war as an auxiliary of the workers in the struggle for power. That position was first developed by Marx during the German revolution of 1848, when he argued that the German revolution could only triumph as a second edition of the Peasants’ War. That is to say, the movement of the workers in the towns would have to draw behind it the peasant masses. It is not correct to argue that this position is only for developed capitalist countries. Before the Russian revolution the industrial working class represented no more than 10 per cent of the population. Yet Lenin and the Bolsheviks always argued that the working class had to place itself at the head of the nation and lead the peasants and other oppressed layers behind them. The proletariat played the leading role in the Russian revolution, drawing behind itself the multi-millioned mass of poor peasants – the natural ally of the proletariat. By its very nature, guerrilla warfare is the classical weapon of the peasantry, and not the working class. It is suited for conditions of armed struggle in inaccessible rural areas – mountains, jungle, etc. – where the difficulty of the terrain makes it complicated to deploy regular troops and where the support of the rural masses provides the necessary logistic support and cover for the guerrillas to operate. «1) the sentiments of the masses be taken into account; 2) the conditions of the working class movement in the given locality be reckoned with, and 3) care be taken that the forces of the proletariat should not be frittered away.» And he also made it clear that, far from being a panacea, guerrilla war was only one possible method of struggle permissible only «at a time when the mass movement has actually reached the point of an uprising». The danger of degeneration inherent in such activity becomes an absolute certainty the moment the guerrilla groups are isolated from the mass movement. In the period following 1906, when the workers’ movement was in decline and the revolutionaries were reeling from a series of body blows, the guerrilla organizations increasingly displayed signs that they were ceasing to be useful auxiliary organs of the revolutionary party, and becoming transformed into groups of adventurers, or even worse. Even while defending the possibility of guerrilla tactics as a kind of rearguard action against reaction at a moment when he still expected the revolutionary movement to revive, Lenin warned against «anarchism, Blanquism, the old terrorism, the acts of individuals isolated from the masses, which demoralize the workers, repel wide strata of the population, disorganize the movement and injure the revolution,» and added that «examples in support of this appraisal can easily be found in the events reported every day in the newspapers». In the period 1905-06, the revolutionary movement included an element of «guerrilla warfare», with partisan detachments, armed expropriation, and other forms of armed struggle. But the fighting squads were always closely linked to the workers’ organizations. Thus, the Moscow military committee included not just RSDLP members, but also SRs, trade unionists (printers) and students. As we have seen, partisan groups were used for the purpose of defence against pogromists and the Black Hundred gangs. They also helped to protect meetings against police raids, where the presence of armed workers’ detachments was frequently an important factor in preventing violence. In addition to this, they were also wide open to penetration by provocateurs. As a rule it is far easier for the agents of the state to infiltrate militaristic and terrorist organizations than genuine revolutionary parties, especially where they are composed of educated cadres bound together by strong ideological ties, although even the latter are not immune to penetration. Lenin was well aware of the dangers of degeneration posed by the existence of the armed groups. Strict discipline and firm control by party organizations and experienced revolutionary cadres partially guarded against such tendencies. But the only real control was that of the revolutionary mass movement. The imperialists made a mistake. But they also study and learn from experience. After the experience of the Cuban Revolution the imperialists could no longer be taken by surprise. They studied the theory of guerrilla warfare, including the writings of Che Guevara. And they were ready and waiting. As soon as the first guerrilla foco was formed, they intervened to crush it. They did not give the guerrillas time to establish a base in the rural population. This is what happened in the case of Bolivia. It sealed the fate of Che and his comrades – and many others later on. In Argentina, Uruguay, Mexico, Venezuela and other countries, the attempt to mechanically imitate the methods of the guerrillas in Cuba all led to bloody defeats. Particularly negative was the idea of so-called «urban guerrillaism», which is only the old idea of individual terrorism under a new guise. Those who advocated this disastrous tactic thought that they had invented something entirely new. In fact they were only repeating the mistakes of the old Russian terrorists of the Narodnaya Volya, against which Lenin conducted an implacable struggle. In every case these tactics ended in a bloody defeat and savage reaction. The movement lost thousands of young cadres who could have played an important role in developing a mass revolutionary movement in the factories, workers’ districts and villages. This was a very serious mistake that must be rectified if the socialist revolution is to succeed. It is the negative side of Che’s legacy that is seized upon by ultra-lefts who are incapable of understanding the real positive legacy of this great revolutionary and only repeat his mistakes. This is the worst injustice to Che’s memory that one can imagine. From the very beginning the destiny of the Cuban revolution has been tied to events on a world scale. How could it be otherwise when the revolution was threatened at birth by the most powerful imperialist state on earth? The Cuban revolution – like the Russian revolution – had a tremendous international impact, especially in Latin America and the Caribbean. That remains the case even today. Che tried to light a spark that would set the whole continent ablaze. Maybe he made a mistake in how he went about it, but nobody can question his intentions and his fundamental idea was correct: that the only way to save the Cuban revolution was to spread it to Latin America. Che helped organize revolutionary expeditions overseas, all of which failed. The first attempt was made in Panama; another in the Dominican Republic took place as early as 1959. Unfortunately, some erroneous conclusions were drawn from the Cuban experience. The attempt to export the model of guerrilla war and focos led to one terrible defeat after another. There were several reasons for this. Firstly, as we have already seen, the Cuban insurgency had taken US imperialism by surprise. But they soon learned the lessons and every time a «foco» appeared, they crushed it immediately before it could spread. Like the Cuban revolution, the Venezuelan revolution has begun as a national-democratic revolution. In the early stages of the he programme advocated by Hugo Chávez was the programme of advanced bourgeois democracy. But experience has shown that the oligarchy and imperialism are the mortal enemies of democracy. They will stop at nothing to destroy the revolution. Therefore, to attempt to limit the Bolivarian Revolution to the bourgeois democratic tasks – that is, to halt the Revolution – would be to prepare the way for the inevitable downfall of the Revolution.